Friends and family are often envious of the deals I’ve bagged over the years, but it really isn’t that hard to do! 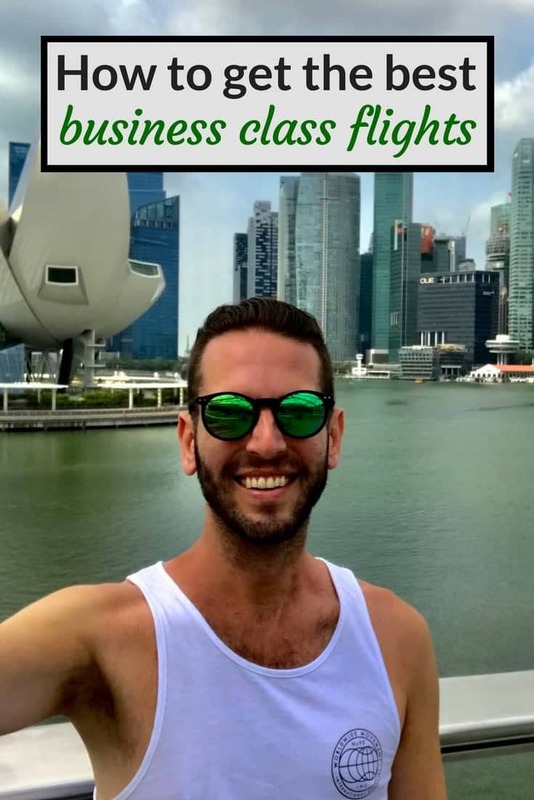 These are my 5 top tips for getting the best business class flight deals. This is where you have to do a little bit of reading. Many people don’t know much about the different points membership programmes available. You need to understand how these work in order to take best advantage of any deals and to secure the frequent flier status that will get you access to the best lounges, even when you’re flying economy. Airline frequent flier programmes usually have a concept of an airline mile (earned based on the distance you travel and augmented by your class of travel or status) and status points (also earned based on where you travel augmented by class of travel). Status points determine your status with that airline (and with their alliance partners- more on that below) and that decides what benefits you get from the airline, which can include lounge access, upgrade vouchers and more. These can only be earned by flying with an airline (or their partners). Miles on the other hand can be earned by flying with an airline (or their partners) or by other ways of spending. Alliances and airlines may have different names for these concepts, but they usually work in the same way. I picked One World, because as I am based in London, I use BA for most of my short haul flights (convenient as they fly pretty much everywhere from London). I also really enjoy Qatar Airways’ business product, which has been consistently voted as the top business class experience in the world. They are well known for having some excellent sales throughout the year that will not only get you somewhere fantastic in a flat bed with some delicious food and champagne along the way, but also likely earn you nearly enough status points (or Tier Points as they’re known at One World) to give you lounge access before any flight with another One World partner. GodSavethePoints: great for quickly identifying deals from Europe and the US. The website is beautifully presented with great photography and not too technical for someone new to all of this. Head for Points: good at identifying deals from London and Europe but also focuses on hotel loyalty programmes, credit card deals and other ways of earning miles. Over the past few years, some of the best deals I’ve found have been from Stockholm, Helsinki, Copenhagen, Amsterdam, Berlin and Sofia. They’re usually the result of an airline trying to fill seats on an under-utilised route or trying to establish themselves on a route dominated by another airline. You’ll obviously need to get to that city, but that’s what I often use my Avios for. This also comes with the added benefit of spending a day or two exploring a new city or enjoying an old favourite along the way. Be careful booking these flights too close to your departing business class flight because if the flights are not booked on the same ticket and there’s a delay with your original flight and you miss your business class flight, the airline won’t put you on the next one and you’ll be stuck. The best deal I ever got was for a flash sale on a business class return flight on Qatar Airways from Amsterdam to Tokyo for £500 ($700). To get the best deals, you’ll need to be flexible as to where you travel from, when you travel and how long you go for. And you need to act fast. Often these deals are for a very limited period of time, and even when they’re not, the best ones get snapped up so quickly, that a few minutes can make all the difference. Know all the ways in which you can earn miles and take advantage of them. My preference is the American Express Premium Plus Card), which not only earns you BA Avios points on all your spending, but if you spend £10,000 on it in a year, you get a free companion ticket. This is where BA matches a ticket you buy with Avios for free. You still have to pay the taxes with the AMEX Plus Card, but this is often the most cost effective way to get a nice trip in BA Club World or even in First Class, provided of course you plan to spend £10,000 on your credit card in a year!. There is an annual fee of around £200 for this card, but in my view, the benefits are well worth it. You get a slightly higher welcome bonus of Avios if you are referred by a current cardholder, so if you’d like a referral, message me on Twitter. There are many other ways to earn miles with your daily spending. For example, loyalty points in supermarkets and petrol stations. If you’re planning on maximising your miles, make sure you’re in the know as to which card does what. I hope this has inspired you to try and find a great luxury flight for your next holiday. See you at 40,000 feet! David Wides: London based blogger, lawyer and all round hottie! My name is David Wides, and much like the Nomadic Boys, I’ve been bitten hard by the travel bug. I’m originally from Cape Town, South Africa but London has been home for the past 12 years where I work as a lawyer. If you’d like to see more of where I go and what I do, you can follow me on Twitter.